Dhaka, 18 Feb, Abnews: A Hyderabad-based Islamic seminary has issued a fatwa against a song in the upcoming Malayalam film "Oru Adaar Love", saying the government should have it removed as it hurts the religious sentiments of Muslims. 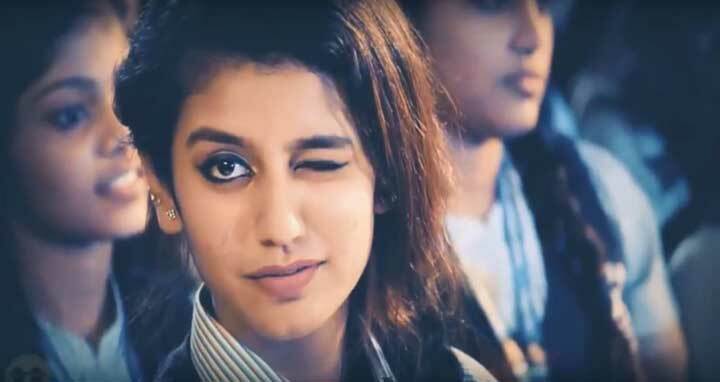 The song, 'Manikya Malaraya Poovi', featuring Priya Prakash Varrier, has gone viral on social media. After some local Muslims raised questions over the song, Jamia Nizamia issued the fatwa yesterday. It was alleged that lyrics of the song 'Manikya Malaraya Poovi' in the Omar Lulu-directed film have some "objectionable" words hurting the sentiments of Muslims, an official from Jamia Nizamia said today. "Some residents of Farooq Nagar, in an application to the seminary, raised questions about the song, saying its lyrics hurt the sentiments of Muslims," he said. "A fatwa against the song was issued by a mufti (religious expert) from the seminary subject to the question (the allegation that the song can hurt sentiments of Muslims) being true," he said. According to the fatwa, if the allegation is true, the government should have the song removed, the official said. On February 14, Hyderabad police registered a case under section 295A of IPC (hurting religious sentiments) against the film's director following a complaint. Assistant Commissioner of Police (Falaknuma division) Syed Fayaz had told PTI that police would seek the opinion of Islamic clerics while investigating the complaint.